Polishing is definitley a must to revitalize and feed the paint with the oils necessary to bring out the depth. Waxing is right up there as well in importance.....This is the icing in the cake which then protects what you have polished or corrected. Maintenance will also go along way in extending the longevity of your LSP.....how do you maintain your vehicle, do you wash it or do you take it to a high volume car wash..........soap and towels used can also play a big role in how far you can stretch your waxing results. ...What type of wax or sealant are you using if I may ask?...how do you maintain your vehicle, do you wash it or do you take it to a high volume car wash..........soap and towels used can also play a big role in how far you can stretch your waxing results. Thanks for getting back with me. I wash the Jag weekly with Grouts car wash using a microfiber washing mitt, then dry the car with an artificial chamous. Then every few months I apply 2-3 coats of "Finish First" polish by hand. What about decals? My F150 will get the Meguiar's MicroFiber Correction system treatment soon (XJ and 2003 S-Type complete) and it has the "FX4" moniker on both flanks that appears to be some kind of applique over the paint, plus pin-stripes and "Lariat" logo that may well be tape. Finally! (get to the question already) Should I mask either or both of those? Or just have at 'em with the DA MF correction? On large vinyl areas (ex...Mustang GT500 hood) many times I will use my D/A to polish the vinyl and bring the shine and gloss back up and it works great. Sorry but "auto paint correction" can take YEARS of experience. Be careful with rotary polishers if you are a newbie. You can make a real grave error in an instant. I know.....I have been doing this since 1969. Dont even think about any WOOL pad compounding until your advanced. Go to "Expertautopolishing" read about it! Paint correction is an art, not something you learn in one day. With todays paint correction technology there is no need for a novice to consider a rotary......period! And as for wool pads on a rotary combined with a begginer.....your looking for trouble! Great thread. Thanks to the OP, and to the mods for making it a sticky. Recommendations for a good detailer in NorCal? I'm in Santa Rosa, an hour north of SF, but would drive a bit to get the best. Seems like anyone can call themselves a detailer, and I get conflicting comments from everyone. Just bought a 2010 XK, black, and want to keep it beautiful! As a new Jaguarforums.com member and "Resident Detailer", I would like to introduce myself. My name is David Sylican, owner of Innovative Detailing located in Orange County, California since 1986. I specialize in high end automotive detailing, paint restoration, concourse & show detailing and movie studio prep work. My goal is to help other members raise their standards in automotive car care, while maximizing their detailing objectives. I wanted to start a thread, "Ask a Professional Detailer" on Jaguarforums.com so that you may ask me any questions you might have on auto detailing. We'd like to build up a great reference tool here on Jaguarforums, specifically for all model Jaguars and other fine vehicles. I know this is a great forum already, I see some familiar faces on here, and a wealth of information from JimC64 and other members. I hope to help contribute to the forum and answer as many questions as I can in a detailed and timely manner. I would also like to extend a 10% discount to all members on some of my detailing services from Innovative Detailing. I look forward to taking part in some great conversation. Could you recommend a paint/road rash repair shop(s) in the Chicago area? I'm having a difficult time locating one that I feel confident in. there is no way that i would ever contradict your advice,but i started detailing with a da,in only a few weeks i wanted to try a rotary polisher .so i booked myself on a course .ending up using a wool pad .not a big 9" pad but a 6" pad. so what i'm trying to say is ,yes a wool pad will remove alot of clear-coat but so can a da using the wrong pad polish combination. Sorry, I honestly do not have a clue for this area.......Try looking at YELP reviews for your area....Good Luck! Go thru the clear using a D/A.....I am not saying it cant be possible, but extremely odd and rare at the same time..
Have no fear of the D/A....IMO, its a detailers friend! Been enjoying reading this thread -- thanks for all your advice on members questions. Now to my question... I've recently acquired a 2012 XKR convertible in Azurite Blue. I'm scheduled to talk to a detailer who is factory certified on installing XPel paint films. I plan on getting the front bumper, mirrors and rocker panels done. Can you share your experience on all the different brands (XPel, 3M, Avery, etc)? Also what questions should I be asking the detailer? How Many Layers of Wax? Thanks for all the solid advice you have provided to the boardmembers. What an honor it is to have you here! Here is my question: How many layers of wax do you recommend for a car that has no paint issues (08 XJ, seldom driven, always garaged and washed)? My typical regiment is wash, claybar, sealant (Klasse) and a light coat of wax (Pinnacle Souveran). 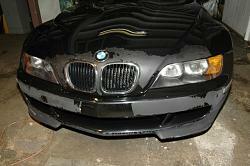 I've read about "layering" the wax with multiple coats to really bring about a stunning shine. I'm willing to do the extra work but will it make a difference? I've tested spots with multiple coats and noticed no difference to the naked eye. Great question, hopefully my experience selling, installing and using PPF will help you out. I offer 2 types of film to my customers based on my experience and what we have readily available. Extrusion marks from when its manufactured are almost always visible on the film. These lines depending on how the film is cut on the plotter can be visibly seen either horizonally or vertically. From afar they are not visible, but up close you can see it bit overall its a good PPF. At the SEMA show this year in November Xpel realeased their newest film that is self healing. I saw a live demo when I was there and I must say that I was blown away! Could this be the ultimate Paint Protection Film? Last edited by Innovative Detailing; 12-29-2011 at 01:13 PM. Another great question.......and thank your for the wonderful words! The last step is like the icing on a cake.....To much icing is useless when it only takes the right amout to get the job done. When you apply product ontop of product, you would be removing some of the product that you have previously applied to get the next layer on. After your done waxing and removing your Pinnacle, walk away...enjoy a cold beverage, then come back and try either of the sealants mentioned, then admire the sparkle! I am almost certain you will notice the increased depth and most certainly the enhanced protection. Do these films come off cleanly when it's time to re-apply? We're concerned that the adhesive might take some of the paint or clear coat off when removing the PPF. None of the manufacturer's warranties that I've read seem to mention this. PPF is like a set of tires, and it is in no way a perfect product. Why I say its like a set of tires is because it does wear out over time, but at the same time served it purpose. Maintenance is key with PPF to preserve the overall look and finish. Most PPF look great for 4-5 years and then start to degrade visually although still providing rock chip protection. Here is an example of a PPF removal that I recently did on a Corvette that the film failed after 4.5 years. It was extremely tough to remove, but not one speck of paint peeled off and she looked like new when we were done. Innovative Detailing presents our works of art.............: New lease on life for this So Cal 07 C6...2007 C6 transformed from "Beast 2 Beauty"
Here is a sample of PPF removal gone bad....found this one online, hope it doesnt scare you! Last edited by Innovative Detailing; 12-29-2011 at 08:37 PM. David, I for one would work for you free, (for awhile of course) ! Again Thank you for sharing with the forum! Thanks again for your wonderful support and your compliments! What about watermarks? I have tried waxing over and over, but cannot remove the watermarks, I guess, it is the type of water used. Is there a product that will assist in the removal?